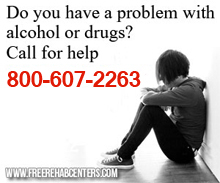 Hollywood, FL Free Treatment Centers, Affordable Rehab Centers. Provides treatment for youth 8-14 years of age who will benefit from intensive residential psychiatric treatement. Youth receive an individualized education curriculum while receiving therapuetic services. Residential transitional home for adults recovering from alcohol or substance abuse. Residents must attend daily 12-step meetings. FEES: $165 per week with a $165 security deposit upon moving in. Contact for current rates as they are subject to change. Comfort Recovery offers a remarkable program centralized on living independently without the presence of drugs or alcohol to help people transition from treatment to healthy living. At our oceanside living facility, you will find a recovery minded community and professionals to assist in helping further develop our residents.